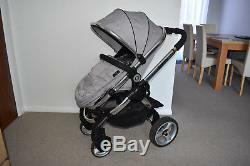 Full Travel System 3in1 iCandy Peach 2. 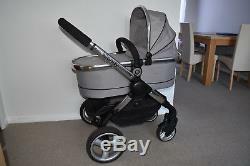 Included in this sale: - frame with wheels - shopping basket - carrycot - mattress for carrycot - 3/4 apron for carrycot. 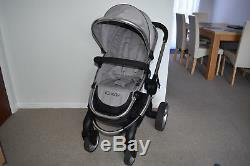 Hood for carrycot - seat unit. 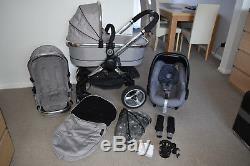 Safety covers for straps - footmuff - maxi cosi Pebble car seat - safety covers for straps. 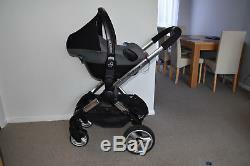 Head support - hood for car seat - adaptors for car seat. 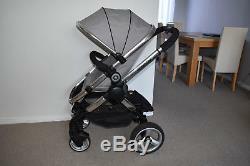 Handle safety bar for carrycot and seat unit. 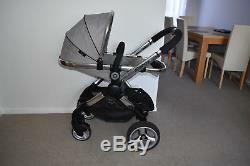 The seat unit is reversible and has forward and rearward facing recline position Has removable hood The handlebar is adjustable Has front swivel wheels which can also be locked Good used working condition It has been looked after but is used so please do not expect new, will show signs of use like scratches on the frame, metal parts and wheels... 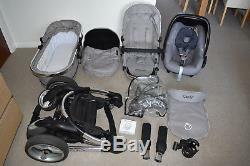 The item "Travel System 3in1 iCandy Peach2 in Silver Mint inc Maxi Cosi Pebble Car Seat" is in sale since Monday, November 12, 2018. 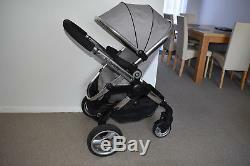 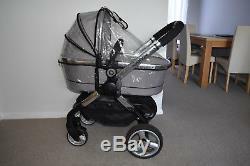 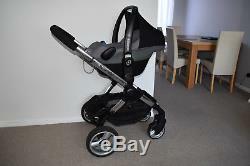 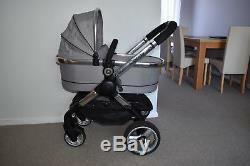 This item is in the category "Baby\Pushchairs, Prams & Accs.ltd" and is located in Milton Keynes, Buckinghamshire.